5.1: How to beat slope game? 5.2: How to mute slope game? Slope is an endless-runner 3D game that was created and published by Y8 Game. It is invented by RobKayS and music by SynthR. 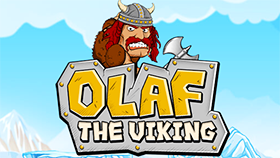 This is an interesting video game with "simple gameplay but its challenges are not simple" . And just because of its challenges, this game become so addictive and attracts the attention of millions of players around the world. On Freegames66, Slope is one of the most played games. In addition, it also received so many positive votes, comments, and review from players. In this game, you are a ball at the top of the hills in the isometric 3D world. Your goal is to reach the end by avoiding all the traps and obstacles you find on the road that you constantly roll. Collapse track records without falling off the ground or hitting the red walls and obstacles. There isn't a certain destination because this game is an endless-running game. Besides that, although the controls of this game are very simple, the ball speed will increase rapidly when you get advanced. And of course, the terrain of the map will not be easy at all. For example, the roads will be more narrow, there are many more obstacles, etc. This feature makes the game become so challenge and addictive. In addition, it also requires the players to focus on the game to win. A special point is that slope game offers the players a leaderboard. On this board, there are the names of those who get the highest scores on Slope in the time from one to seven day. This increases the game's competition and also makes it become more attractive. Incredible Neon Graphics and Style. The path changes quickly and becomes more difficult and unpredictable. Numerous obstacles in the form of blockage, sloping and dead walls. See who is the best and try to beat them on the leaderboard. The tilt is made by using Unity 3D and is available through a web browser (using WebGL). It can also be played on mobile devices via the Android app. 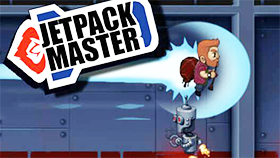 Control by arrow keys, avoid obstacles and adjust gravity. In general, if you are looking for a way to try and practice your reflexes, Slope - one of the toughest games on the go is for you. As mentioned above, the controls of the slope game are very simple. In case you play this game on the hand-devices such as smartphones, iPad, etc, just swipe left or right to lead the ball following the direction you want. 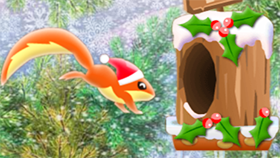 In case you play Slope on PC, just use left and right arrow keys to move and avoid all the obstacles. Focus on the game when playing is the most important tips and tricks to beat slope game. The ball's speed is so fast, so, if you don't play your attention on it, you will die immediately. If playing this game on the smartphone, let's disable the Wi-Fi to make sure there isn't anything bother you. In addition, in case you are distracted when listening to the sound of this game, let’s turn it off. For each move, let's hold arrow key or swipe in a very short moment if you want to move to only one line of brick. Slope uses the element of gravity in its gameplay, so, let's care about this issue when playing this game. Be reflex rapidly to make the decision about the direction of the ball before it falls down the ground. 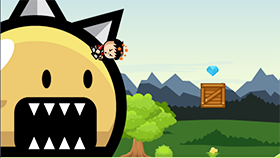 Slope is really an interesting and addictive video game for people of all age. With 3D graphics and simple gameplay, this game rapidly becomes the favorite game of thousands of players around the world. However, in some areas such as school, hospital, etc, especially at school, people block gaming sites and slope game to prevent students addicted to the game. For this reason, lots of people can't enjoy their favorite game in these areas. If you are also one of them, don't worry because you still can enjoy this game with the Slope game unblocked at school version! 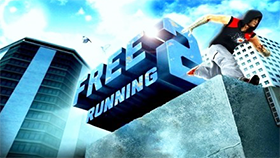 On Freegames66, we provide you with slope game unblocked at school for free. So, you can enjoy this game right at your school or anywhere you want. Besides that, on Freeganes66, we also provide lots of tips, tricks, and detail walkthrough video, so, you can play Slope unblocked easily on our site. With a simple and friendly interface, surely you will have lots of great and memorable moments when playing games on this site. In addition to slope game unblocked at school, there are thousands of other interesting unblocked games are available to play and enjoy on this site. 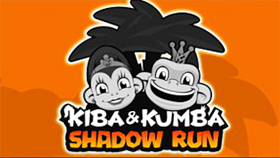 Now, it is the time to start the game and let's see how far you can run on this super challenging game. How to beat slope game? In fact, slope is an endless-running game, so, you can't beat this game. The only thing you can do is to try your best to get the highest score and write your name on the leaderboard. In order to do that, let's read some tips and tricks above to play this game better. How to mute slope game? With many players, listening to the sound of the game makes them be distracted. For this reason, they want to turn off the sound. If you also don't want to listen to the sound when playing Slope, let's turn it off. In fact, Slope has a mute option right on the menu screen, so, you can turn off the game sound directly by pressing this button.